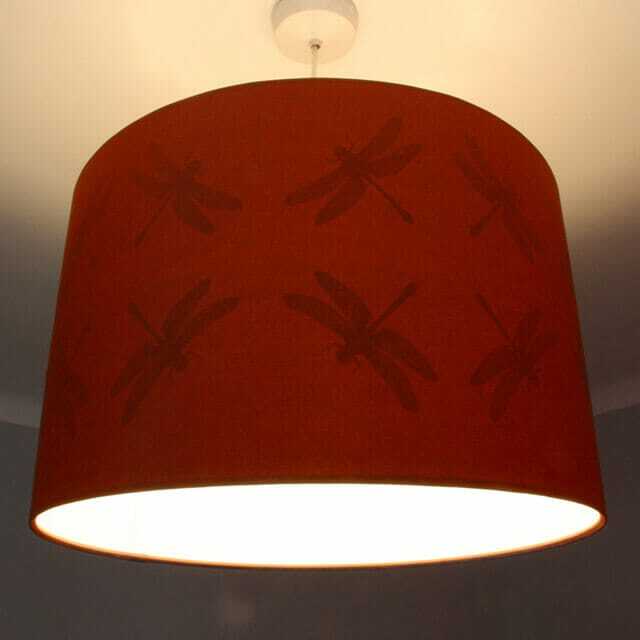 This beautiful handcrafted lampshade in vivid ‘Paprika’ silk brings a cosy glow to any room after dark. Take a closer look… The shade doesn’t simply transform from warm orange to a rosier radiance when you flick the switch. Suddenly a host of dragonflies is flying around on the inside. Annette Baumann’s clever designs give you the chance to enjoy two rather different but equally stylish lamps in one. 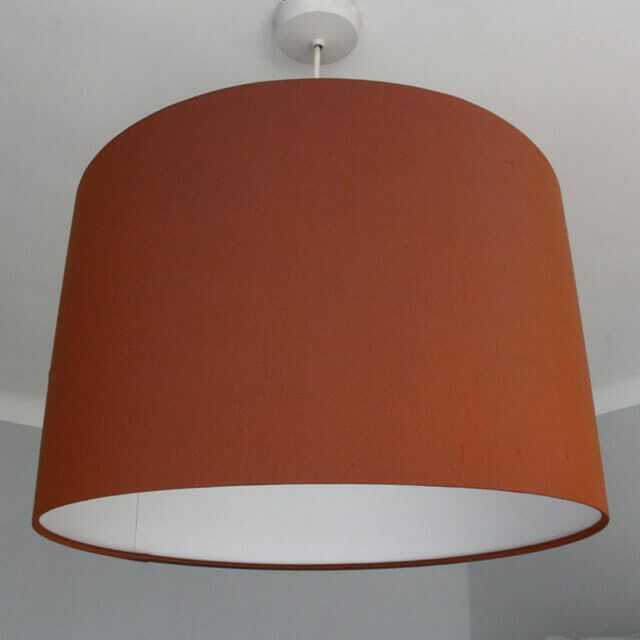 Finished in vivid ‘Paprika’ coloured silk, this handmade shade features a rolled edge and the lamp holder ring is fitted at the top of the shade so it can attach to a pendant light fitting and hang downwards.